Police are appealing for witnesses following the report of a burglary that occurred at a house in the Ranfurly Road area of Dungannon. 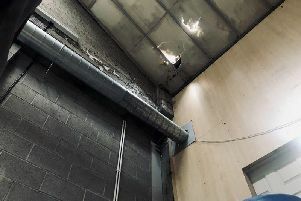 Constable Brian McDonald said: “It was reported that between the hours of 10.30pm on Friday 9th June and 4.30am on Saturday 10th June, entry was gained to a house in the Ranfurly Road area of Dungannon via the rear door. As a result of the break in, a number of items were taken including a red laptop, a wallet, personal documents and a set of house keys. We are appealing to anyone that may have witnessed any suspicious activities in the area at the time or to anyone that may have been offered any similar items for sale in suspicious circumstances to contact Dungannon Police Station on the non-emergency number 101, quoting reference 1161 of the 10/06/17.